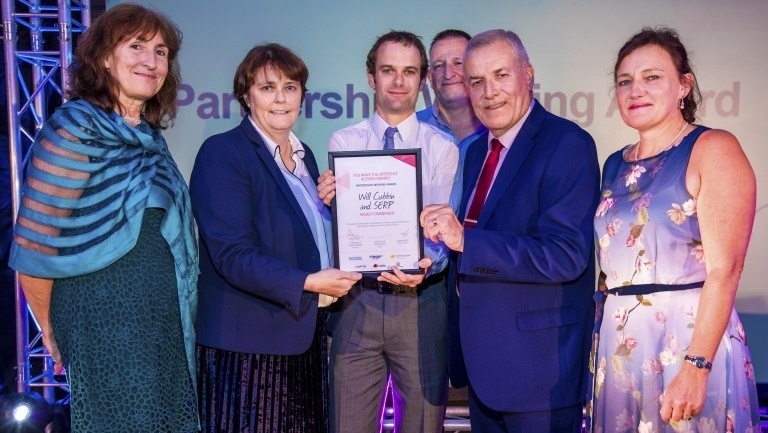 The Safer Essex Roads Partnership (SERP) was highly commended at Essex County Council’s annual ‘You Make The Difference’ awards’ ceremony on Friday 22 September. The ‘You Make The Difference’ awards showcase people and organisations within Essex County Council who work in ‘new, flexible and collaborative ways to achieve the best possible outcomes for people across the county’. The 2017 awards were presented at the Chelmsford City Racecourse. More than 300 people and organisations were nominated for just six award categories – with two highly commended nominees and one overall winner in each category. SERP’s data analyst Will Cubbin was nominated in the partnership working category, which recognises outstanding contributions to achieving productive working relationships with partner organisations. Will was commended for his work supporting members of various organisations within SERP, providing them with ‘useful and relevant’ data, presented in ‘innovative’ ways. “Successful partnerships require people who are passionate about achieving a shared goal. I’m lucky enough to work with some talented and dedicated people who are generous with their time, knowledge and resources.